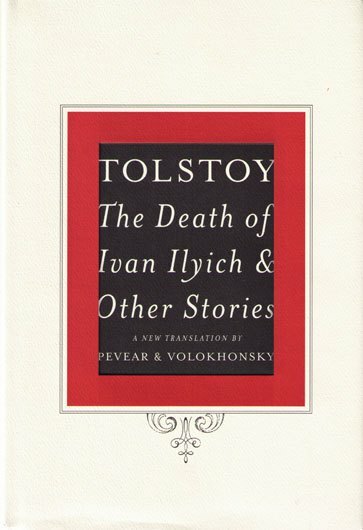 This past year I had the opportunity to teach Leo Tolstoy’s The Death of Ivan Ilyich for the first time. In re-reading the novella, I was struck by how well Ivan’s character, who orients his life around the avoidance of discomfort and the pursuit of the approval of his peers, resembles the kind of self-understanding that our modern culture—especially social media—works to create in us. The story begins at the end, with the aftermath of the death of the protagonist. We see Ivan’s colleagues learning of his passing, which occurred rather suddenly after a brief illness. Ivan was not especially liked or despised, and each character in this opening scene reacts to the news by thinking about how the death will affect him—how it will buoy his career prospects or saddle him with burdensome obligations. These men are professionals, and they think here as professionals—there’s no letting down of their goals to allow the death to affect them on a personal level. Only one of the men, Pyotr Ivanovich, has a moment where Ivan’s death penetrates his professional shell. He was one of Ivan’s closest friends, and out of obligation, he goes to the wake and pays his respects to Ivan’s wife. As she tells him of the suffering and death of her husband, Ivan grows cold and afraid: “Why, that could come for me, too, right now, any minute,” he realizes. But he allows this thought to occupy him only for a moment. But at once…the usual thought came to his aid, that this had happened to Ivan Ilyich and not to him, and that it should and could not happen to him, that in thinking so he had succumbed to a gloomy mood, which ought not to be done. For confirmation, he looks at his friend Schwartz, another colleague who, rather mischievously, has been plotting to escape the wake to make their weekly card game. Schwartz is not gloomy—he won’t even let his friend’s death alter his entertainment schedule. Pyotr, reassured by Schwarz’s expression, “began asking with interest about the details of Ivan Ilyich’s end, as if death was an occurrence proper only to Ivan Ilyich, but not at all to him.” By keeping Ivan’s death at arms’ length from himself, Pyotr can treat it as any other subject, and engage in respectable, proper conversation about it. He is successful in keeping the question of his own mortality at bay, and he moves on. 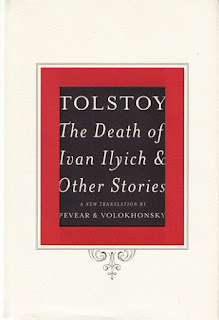 Tolstoy’s narrative leaves the wake, and picks up Ivan’s story from beginning to end. We never hear from Pyotr Ivanovich again. We, the readers, are Pyotr Ivanovich. We, too, will hear about the death of Ivan Ilyich; we too, will see his sad bourgeois life and witness the agony of his last days. How will we react? Will we allow Ivan’s death to make us afraid? Or, like Pyotr, will we seek to push that emotion aside when it comes upon us? Tolstoy draws Ivan to resemble the average man. He is the middle child, and occupies a position in the middle of the fourteen numbered rungs on the Russian public-employee ladder. He is mediocre in the way that the bourgeois are mediocre, never satisfied with actually being mediocre but always striving to move upwards in status. He lives a normal life, pursuing both pleasure and social approval. His career has a few bumps but overall he is awarded better and better positions in the courts. He marries his wife, Praskovya Fyodorovna not for love or beauty but because “he did something pleasant for himself in acquiring such a wife, and at the same time he did what highly placed people considered right.” His goal is to avoid unpleasantness of all kinds, and protect himself against “disruptions” of pleasure. Such disruptions include his wife’s jealousy and the death of two of their children, and to avoid this suffering he seeks refuge in his professional duties. …a man comes and wishes to find something out. As an unofficial man Ivan Ilyich can have no relations with such a man; but if there are relations with this man as a colleague, such as can be expressed on paper with a letterhead, then within the limits of those relations Ivan does everything, decidedly everything he can, and with that observes a semblance of friendly human relations, that is, of politeness. As soon as the official relations are ended, all others are ended as well. Note that any friendliness or politeness that emerges between Ivan and his petitioner stems from the need to conduct official business—human warmth is not the root of his moral code but an effect of it, an expedient of the legal process. The letter of the law, in other words, has replaced the spirit in Ivan’s life. Ivan’s retreat into his professional identity allows him, so he thinks, to leave the messiness of human affairs behind. As a rule, Ivan does not like things that he cannot control and that are out of place. A spot on the tablecloth, or a decoration that has been bumped out of place, Tolstoy writes, “vex” Ivan to no end and he is not settled until they are made right. Appropriately, this fixation on getting the décor of his house just right—so as to fit correctly with popular taste—is what kills him, in the end. Ivan is not happy with his drape-hanger’s work, and brushes him aside and climbs the ladder himself to adjust them. Ivan slips, and bruises his side against the knob of the window frame. Though he doesn’t realize it at the time, he has bruised his kidney, which turns out to be fatal. There is much more to this story than I can address in one post here. I think the character of Gerasim, Ivan’s servant and, characteristically for Tolstoy, an idealized peasant, is worth a whole post of his own. Gerasim cleans Ivan’s latrine and holds his legs on his shoulders to ease his pain, and only he is able to give Ivan what he really needs—pity. Because of his low status in society, Gerasim has not separated, as Ivan has, the professional from the personal, as his job of serving others has in fact required him to find joy in the discomfort that Ivan has spent his life avoiding. The human touch of Gerasim’s care makes Ivan’s whole life of professional success seem like a fraud, and Ivan knows it. It occurred to him that those barely noticeable impulses he had felt to fight against what highly placed people considered good, barely noticeable impulses which he had immediately driven away—that the might have been the real thing, and all the rest might have been not right. Like Pyotr’s momentary fear, which he brushes aside because he feels it not to be a socially acceptable emotion, Ivan’s entire life has been made up of moments when he pushed away uncomfortable inner movements. If a motion of his spirit was not desirable or socially appropriate (think of not only fear and anxiety but also emotions like childlike joy and deep grief), Ivan either willfully ignored it or, if that wasn’t possible, fled it in desperation. But these difficult and uncertain emotions, he realizes at the end of his life, were the very things to which he should have been paying attention. What Tolstoy has shed light upon here is the inability of modern individuals to listen to their innermost voices. God is within us already, and as Augustine says, knows us better than we know ourselves. “Our hearts remain restless until they rest in thee,” he famously claims, and we have been built with our impulses directed in some way towards fulfillment in God. Paying attention to things like fear, joy, and desire is of the utmost importance if we are going to discern God’s voice. Yet these things are precisely what Ivan’s career—and our own modern culture—keeps us from hearing. Our contemporary culture, by which I mean our unique American cocktail of scientism, consumer capitalism, and popular entertainment, wants us to think a few things about these inner movements. Not the least among them is that they are meant to be satisfied by some product. TVs, cigarettes, dimmer light switches, you get the idea—everything is made and marketed as a way to ease discomfort. Increasingly, the “products” that ease our discomfort involve curated images and text shared on social media in hopes that they are seen and “liked” by others. When we share a video of our kids being silly, our inner joy is filtered through a thousand eyes. It is all rather innocuous, of course, to share joyful things with those you love, but taken as a whole, how does our habit of seeking validation (after all, there is no “dislike” button!) of our inner life affect how we understand ourselves? Which emotions, like Pyotr and Ivan, do we train ourselves to push aside? Do we, too, look to Schwartz across the room to gauge whether our gloom is appropriate or not? After all, Pyotr and Ivan wanted to be liked, just as we do. Tolstoy’s characters share with us the human tendency, we might say, to “crowd-source” the spiritual life, and his story is especially appropriate for modern high schoolers, who know better than anyone how difficult it is to develop a spiritual life in an age of the curated, socially mediated self.